Some 10 months have passed since North Korean coal was imported into South Korea labeled as Russian in origin, but the government has not held a single meeting to discuss the issue. A government official said Tuesday, "The Foreign Ministry has served as the main contact point and notified the Korea Customs Service, Unification Ministry and Ministry of Oceans and Fisheries, while keeping the National Intelligence Service briefed." "We have not held a government-wide meeting, but will look into holding one," he added. But a government-wide response could be crucial in blocking the future import of illegal North Korean coal and manage the fallout of the scandal. There are concerns that this lack of coordination among government agencies led to the import and use by KOEN of North Korean coal mislabeled as Russian last year. 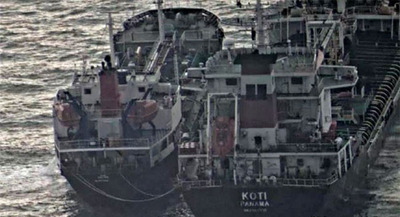 A KOEN staffer said, "We were investigated by the KCS in November last year, but nobody told us about suspicions that the cargo was from North Korea. We wouldn't have used it if we'd known." Coal from the Jin Long is loaded to trucks at Pohang port in North Gyeongsang Province on Tuesday. Meanwhile, the Belize-flagged Jin Long, which brought in some of the North Korean coal last year, entered a South Korean port again last week and unloaded 5,100 tons of coal shipped from the Russian port of Nakhodka. 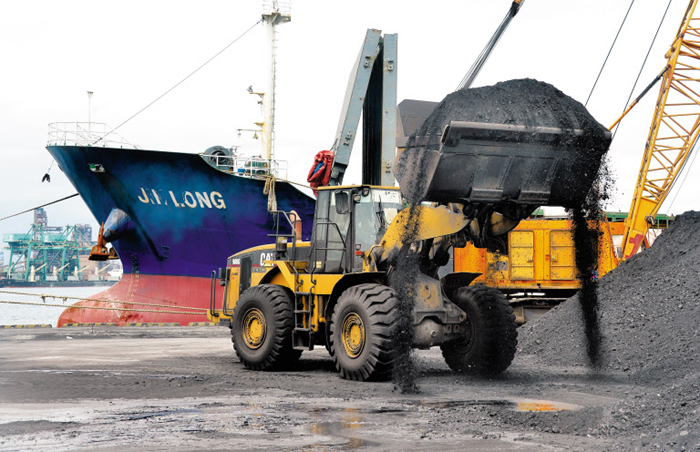 Pohang port on Tuesday was filled with the unloaded coal from the Jin Long and large trucks were busy transporting it. A Foreign Ministry official said, "We searched the vessel again this time but there were no UN Security Council violations." The Jin Long left Pohang port a day earlier than scheduled because of the large media presence.